Having trouble getting in your daily veggies? This could be a solution for you — especially if you love coffee. 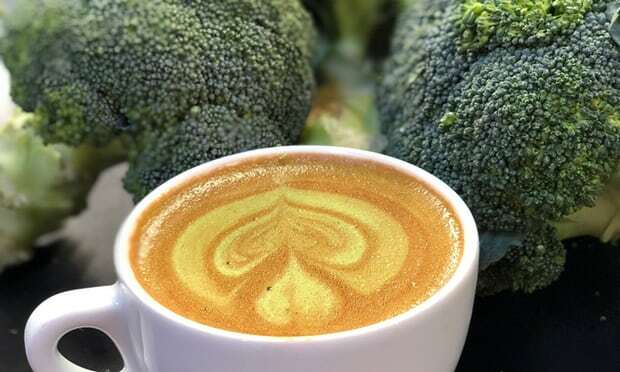 Apparently, broccoli coffee is now a thing, and while we’re a little worried it could end up tasting a bit… green…we’re thinking it might actually be a genius invention for those of us who need to eat more vegetables but would rather drink a cup of joe instead. According to The Guardian, a government science agency in Australia (along with a group called Hort Innovation) has basically invented broccoli powder, which is made by grinding down less attractive stalks of broccoli that are still safe to eat but not pretty enough to sell in a grocery store. Each serving of the powder (two tablespoons) is equal to one serving of broccoli, and it’s loaded with health benefits, like fiber and vitamins B6 and E.
This powder can be stirred into smoothies and other recipes, but most importantly, it’s also easy to stir into your coffee for a daily boost of the good stuff before you start your day. And yes, if you’re wondering, the coffee does have a green tint to it — but this video from a Melbourne coffee shop serving up the brew makes it seem like it might not taste that bad. “Research shows the average Australian is still not eating the recommended daily intake of vegetables a day, and options such as broccoli powder will help address this,” Hort Innovation CEO John Lloyd said. If the broccoli coffee ever catches on in America, it might be worth a try. 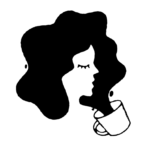 Better nutrition makes you feel better, and TBH, so does coffee. So maybe it’s a win/win? Let’s be real: There are worse ways to get your recommended daily serving of vegetables than with your morning cup of coffee, right? And at this point, to leave more room for ice cream, we’re willing to try anything.